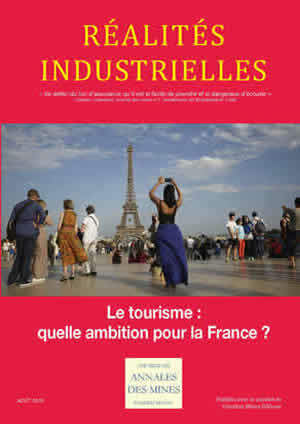 Réalités Industrielles - Août 2015 - Le tourisme : quelle ambition pour la France ? Has tourism become a strategic issue? The Loire River valley by bicycle: A French success story! What strategy will Spain pursue to become the second country of tourism in the world? 2. How to satisfy tourists’ new expectations? Do tourism in the age of the Internet and the resulting disintermédiation signal the end of traditional tour operators? What weapons do independent hotels have to cope with on-line travel agencies and big groups?